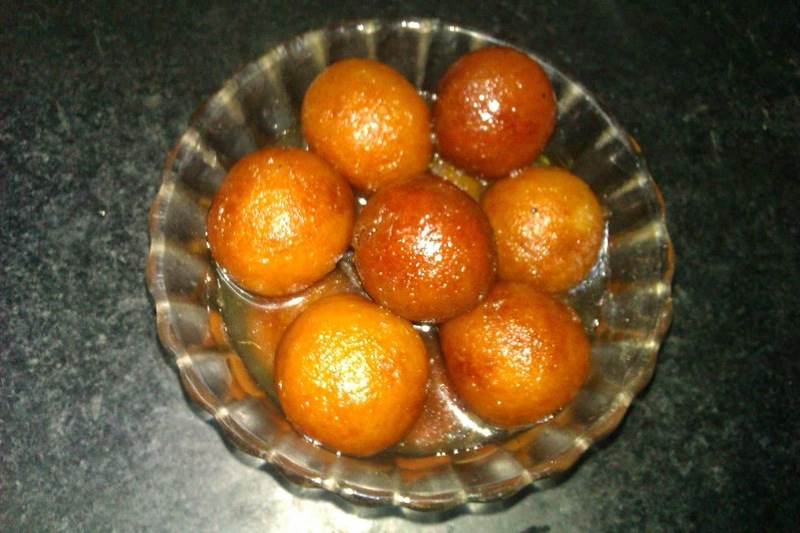 Bread Jamun is a very easy and a delicious dish that you can make for any occasion. It is really a very simple dish to make at any time. The ingredients required to make this yummy dish will be readily available in most of our homes. This is the first time I am trying this dish and it came out really good. Everyone at my home loved it. Instead of getting the ready mix from shop and making the jamuns, try this dish and post your comments. 1. Cut out the brown corners of the bread pieces. 2. Dip the bread pieces in milk and squeeze out the milk completely. 3. Put the squeezed bread in blender and blend it to a dough consistency. 5. Heat oil and fry the balls in medium flame till the balls turn golden brown color. 6. Add water, sugar, cardamom powder to a vessel and bring it to boil. 7. Add a pinch of saffron to the syrup and boil till it reaches a sticky consistency. 8. Add the fried balls into the syrup and allow it to rest for 2 to 3 hours. 9. Tasty bread jamun is ready to serve.